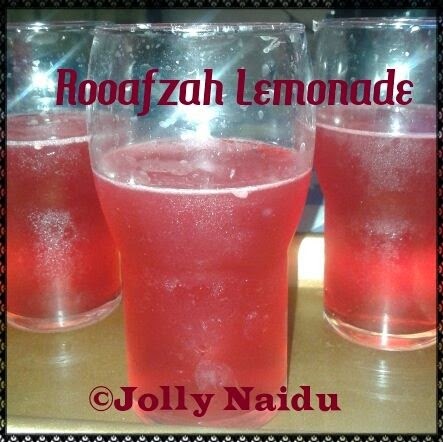 Beat the heat with cool & refreshing drink "Rooafzah Lemonade". Rooafzah is one cooling drink which have grown up drinking every summer. It is a sweet chilled drink mixed with rooafzah syrup. This is easily available in super markets in summers. This is simple and refreshing drink for summers. This is the drink which is liked by every generation. It requires very less ingredient to make this chilled drink and which is easily available in your kitchen. 2. Add lemon juice and black salt and again blend for few minutes till all the ingredients mixed well. 3. Serve chilled and garnish with lemon slices.